Quarterly we offer an open house for all the holistic heroes to get out on the dance floor and celebrate the arts. We will have 4 live musician sets and a Dj to keep the mood right! Want to know more about our Continuing Education courses? Meet our Faculty in person. Get a feel for our environment, hands on, complete with Q&A (And treats)! Develop personalized self-care strategies and learn tools to support yourself as you support others. 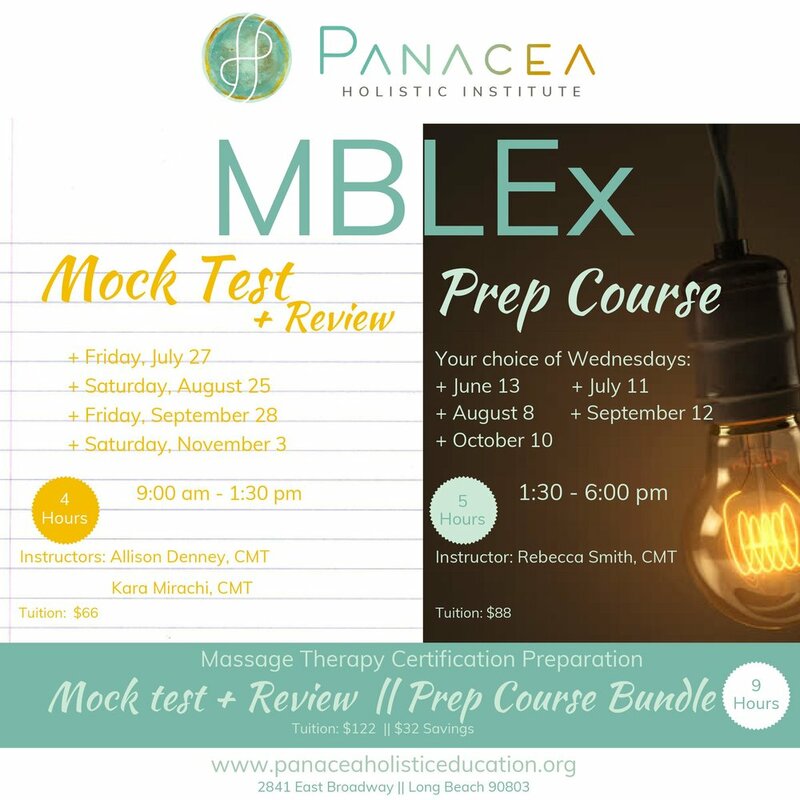 Prepare for the MBLEx with a simulated Mock Test followed by a review session with Allison Denney, CMT. Join Jocelyn Fee Miller to explore build your unique magnetizing platform especially focused on your holistic offerings. An approach to marketing that reflects your mission, your values and your purpose. Natural Intuition Reiki with Reiki Master, Jason Miller, CMT offering the wisdom of his teachers. This is a 2-day Reiki I course, which takes place from 9:00 am - 6:00 pm each day. This is ICTA's 3-day Certification course, which takes place from 9:00 am - 6:00 pm each day. This workshop is designed for Cupping Therapists at the Intermediate Level of Cupping competency and who have been actively providing Cupping Therapy in their practice for at least 6 months. This curriculum builds upon the foundation of the Negative Pressure Massage and the Contemporary Cupping Methods Programs. Click here for more info. This 2-day course takes place from 9:00 am - 6:00 pm each day. Introduction to the science and art of Ayurveda, integration dosha awareness into hands-on protocols. This is a 2 day workshop that takes place from 10:00 am - 4:00 pm each day. Deepen understanding that how you think impacts how you move & how you touch. This is day 2 of a 2-day course taking place on Tuesday, May 1 and Tuesday, May 8. Reiki I is a 2-day course taking place on Tuesday, May 1 and Tuesday, May 8. The Facial Rejuvenation Module combines Acupressure, Thermotherapy, Facial Cupping and Lymphatic Drainage and proprietary topical skin foods.